LED Light Sources – Optofine Instruments Pvt. Ltd. 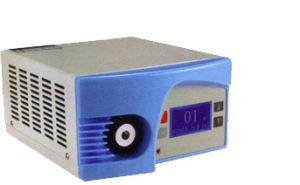 The Opto LED endoscopy light source has a very high efficiency and a very long life expectancy. It is intended to substitute a 150W or 250W halogen lamp fiber optical illuminator. The unparalleled long life time makes the LED light source the most cost-efficient illuminator, and results in the fact that changing the lamp is never needed. We are Manufacturer, Supplier, Exporter of LED Light Sources and our setup is situated in Sangli, Maharashtra, India. High thermal conductivity package junction of heat sink thermal resistance of only 0.96 degree. Four large monolithic chips with uniform emitting area of 36mm. Lumen- maintenance of greater then 50,0001- hours.